The most popular thing to do in Cades Cove TN is to take a scenic auto tour of the one-way 11-mile loop road that circles the area. Along this route, you will pass several of the historic homesites and buildings, see acres of open fields, enjoy the beautiful mountains in the distance, and possibly see a wildlife animal or two. The best part about enjoying an auto tour is you get to experience all of the scenic beauty this area has to offer without having to leave the comfort of your vehicle. It also allows you to cover a lot of square footage getting tired as you would if you were walking. If you do spot something cool you want to explore, there are several pull-offs along the route where you can park your car and not block the roadway. Other families and guests will appreciate this. Keep in mind, because Cades Cove TN is one of the most popular areas in the national park, you and your family or group will not be the only car along the loop road. Depending on the time of year you visit, you want to make sure you leave ample time in your travel itinerary to explore The Cove in its entirety. We recommend at least half of a day. 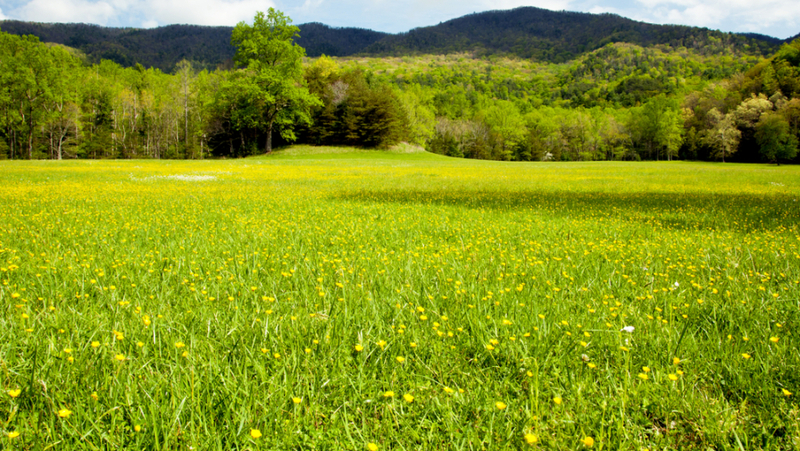 If you prefer to explore on foot than in your car, you are more than welcome to get out and hike around Cades Cove. This will also give you a chance to get an up-close view of the rich history found here, including the old cabins, churches, grist mill, and more! In addition to walking around the historic homesites and buildings, you will be pleased to find the number of scenic hiking trails that begin in this area, including Abrams Falls, one of the most popular hiking trails in the park. If you want a more authentic experience of Cades Cove TN, we recommend you spend the day with the friendly folks at the Cades Cove Riding Stables. There, their experienced staff will take you and your group on a guided tour of the area on horseback. This will give you a chance to explore The Cove just like the early settlers did over 100 years ago. During the ride, you will pass mountain streams, open fields, scenic views, and a ton of other visually stunning sights you can’t find anywhere else. To learn more about the adventures offered by the Cades Cove Riding Stables, check out our complete guide to Cades Cove horseback riding. Cades Cove biking is another one of the fun and exciting things to do in Cades Cove TN that you and your family or group are sure to enjoy. Even better, the National Park Service shuts down the loop road from car traffic every Wednesday and Saturday morning until 10 a.m. from early May through late September. This gives you a chance to bike the loop road without having to worry about a large car or van driving up behind you when you are trying to enjoy a peaceful ride. If you don’t have your own bike or if you forgot it at home, you can rent a bike at the Cades Cove Campground Store for a small hourly fee. From hiking to biking to horseback riding, you are probably building up quite the appetite with all of these outdoor adventures. If so, why not take this opportunity to enjoy a peaceful picnic in Cades Cove TN. The Cades Cove picnic area is available free of charge to all families and guests who visit the national park. Here, you will have a picnic table and a charcoal grill you can use to create a memorable dining experience for you and your group. You can also pre-pack a lunch or pick up something to eat at one of the many local restaurants to enjoy. The Cades Cove picnic area is open year-round. It closes at 8 p.m. May 1-August 31 and at sunset the rest of the year. We do ask you please make sure to dispose of all uneaten food and trash in the appropriate waste bins to protect the animals. We can’t think of a better way to wrap up a fun and exciting day in Cades Cove TN than choosing to sleep under the stars in this majestic place. And that is just what you can do if you and your family or group opt to go camping here. 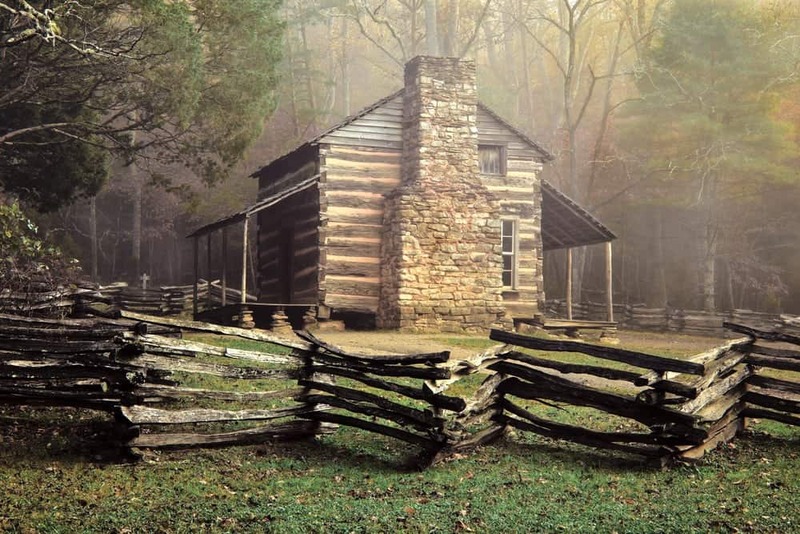 Even better, you don’t have to be a super outdoorsy person to enjoy camping at Cades Cove. When you stay here, you will still have access to indoor flushable toilets, water fountains, and pay phone. To learn more about camping at Cades Cove TN, check out our in-depth guide to Cades Cove campground.